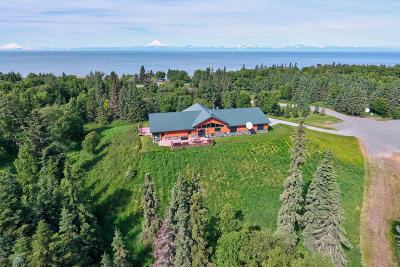 1437 Pey Drive, Kenai, AK.| MLS# 19-1184 | Febra Hensley, with Jack White Real Estate, selling properties for YOU in the greater Kenai and Soldotna areas. Exquisite 4 bed, 2.5 bath sanctuary w/ striking inlet & mountain views that will continue to amaze you day after day. Gather around the heart of the home in the custom kitchen that combines beauty & utility w/ granite counter-tops & under cabinet lighting. Phenomenal 1st floor master suite w/ WIC, dual sinks, separate shower, & jetted tub w/ a view, make for a truly relaxing and spa like retreat. Imagine relaxing in the living room w/ cathedral ceilings, cozied up to the fireplace after a long day of work. With the unobstructed views through the wall of windows, watch the eagles soar over the water or the captivating evening sunset. 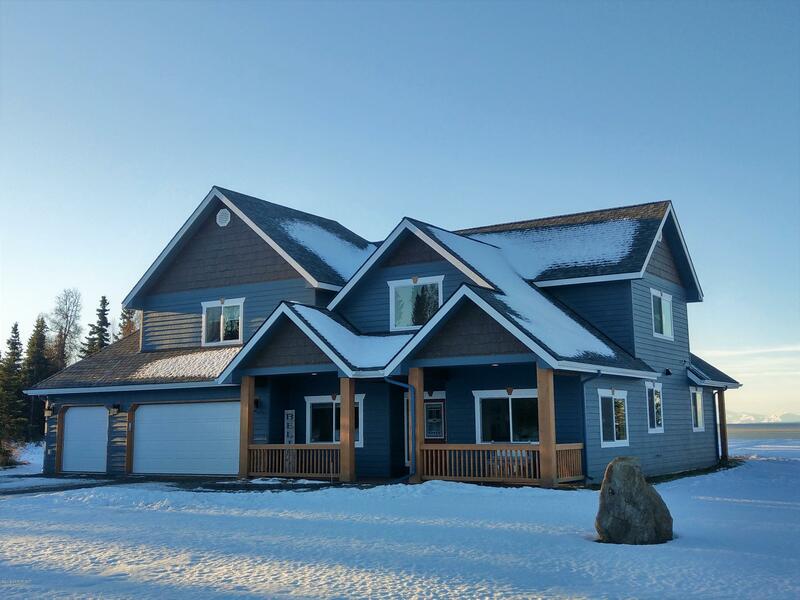 3 car attached heated garage leaves plenty of room for cars and toys. Formal dining room, executive office, & LED lighting throughout the house. Don't miss out on this one!